Orientation & Transition Programs facilitate student engagement and student success for students in transition by developing and connecting students to resources, people, and opportunities. 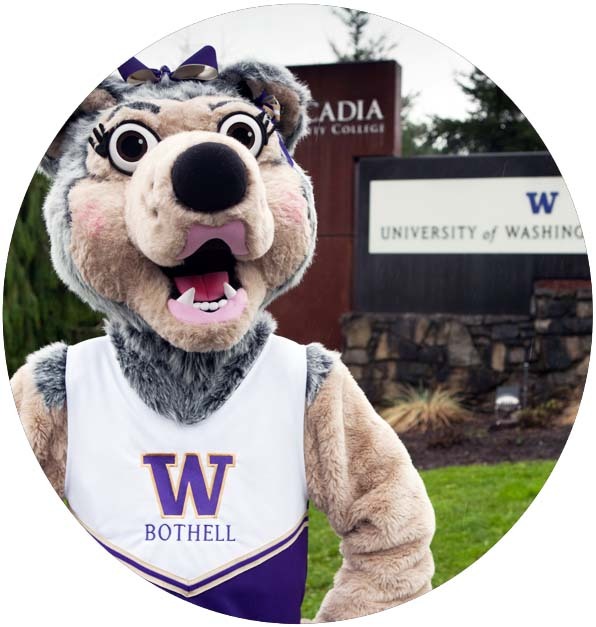 To best serve our students, we openly engage with campus partners to garner their strengths and expertise to create a holistic UW Bothell experience that contributes to student success. Together we are stronger! We foster meaningful connections that bring people together to challenge and learn from one another in the greater pursuit of shared goals. We create an unconditionally welcoming environment that allows students to embrace and understand the diversity within the UW Bothell community by providing programs centered on inclusivity. We strive for continued development of programs and staff that help to create best practices in the field of Orientation, Transition, and Retention. We creatively evolve our programs and initiatives through responsible experimentation and reflection to meet the ever changing needs and priorities of our students. Through honesty and transparency, we ground our work in measurable outcomes that allow us to stand by our programs effectiveness and impact. We practice and foster a campus culture that recognizes the humanity and the life experience of all people in our community and that gives dignity to people through consideration and civil discourse.